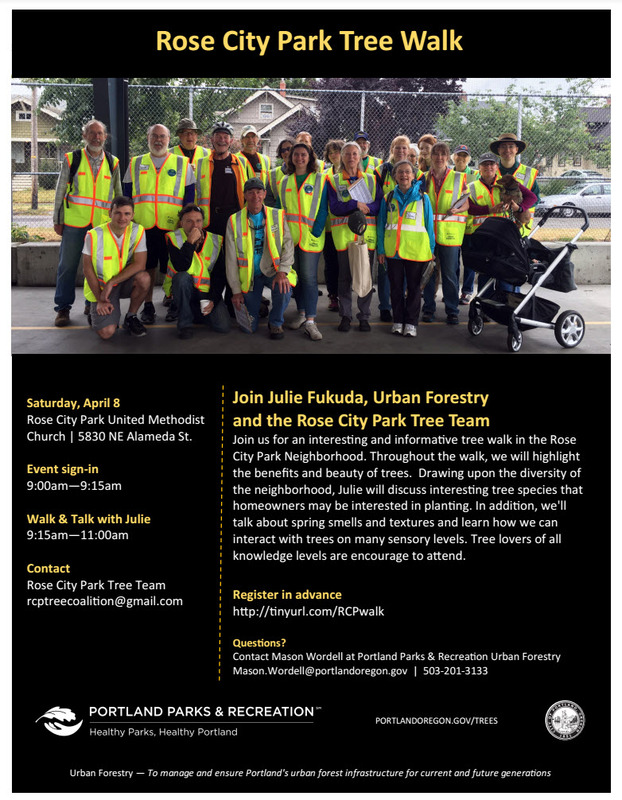 Rose City Park Tree Walk – this Saturday, April 8th! Were you excited about the recent neighborhood tree survey? Want to get to know your neighborhood trees? Come join the FREE Rose City Park Tree Walk! Be sure to register here. We’ll meet inside of the Rose City Park United Methodist Church to have some snacks and coffee (provided by Urban Forestry), and then head out for a walk in the neighborhood.